Once upon a time, I imagined blissful afternoons spent crafting with my children, evenings curled up together reading classic literature aloud to them, and rooms tidied by dinnertime each night. I don’t know about you, but finding the time to do crafts has been hard. And in this Pinterest-obsessed time in which we live, I get overwhelmed just trying to figure out a craft we can do. Or a craft that’s good enough. You, too? I can’t be the only one, can I? So this week I hopped onto Pinterest (oh, the irony!) to look for some things we could do with items we already had in the house, or could quickly grab during our next trip to the market (like apples or pumpkins, because it’s fall Y’all!). And I’m actually really excited about them…so much so that I had to share them! And I’m actually really excited about them…so much so that I had to share them! Who else is all about free/frugal and simple? I’m serious. None of these are hard. None will take hours of time or create huge messes. You really can do one (or two or three) of these today! And aren’t they adorable? I mean, really. It’s so simple. All you need is an apple, some orange paint, googly eyes (these are sticky, so no glue needed! ), either construction paper or pipe cleaners for the stem and leaves (or you could even draw them on if you wanted a glue-free afternoon), and (possibly) glue. Check out the post for the full details, but I can tell you already you’re going to love how easy this is. And just think: you can cut them out for grandparents like ornaments or make cards with them to send to relatives. You could even make notes for teachers! I completely laughed out loud that this slime was advertised as edible. I mean, really?! It’s slime, not food. But then I immediately thought how perfect that was. For someone else, I mean. 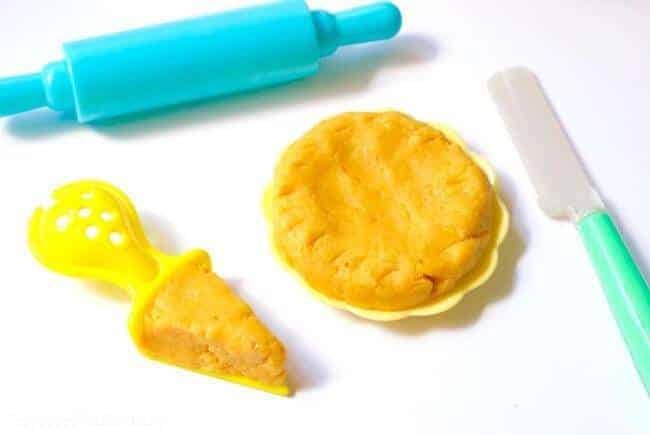 Because my kids would never try to eat something like slime or play-do (ahem). Just like they would never put dirt or twigs in their mouths when playing outside. Never. But just in case yours would, I figured I should include it on the list. And you can give them some plates, plastic utensils, and other kitchen gadgets and let them stage a tea party if you want to continue the fun. Or they can run a bakery. Be sure to grab a cute apron for them to wear! I’m a big fan of this one because I have a daughter with Down syndrome who needs help to develop her fine motor skills and I’m constantly on the prowl for fun activities for her. And can I just take a moment and tell you that ready-made toys like this cost a small fortune? 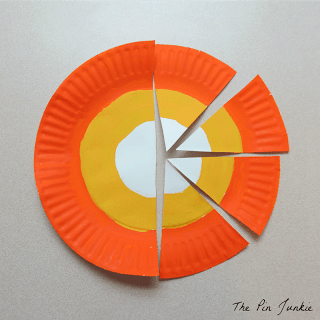 How super smart to make your own using a plate! Tip: Get the round shoelaces like these from Amazon, because they work so much better for this activity. 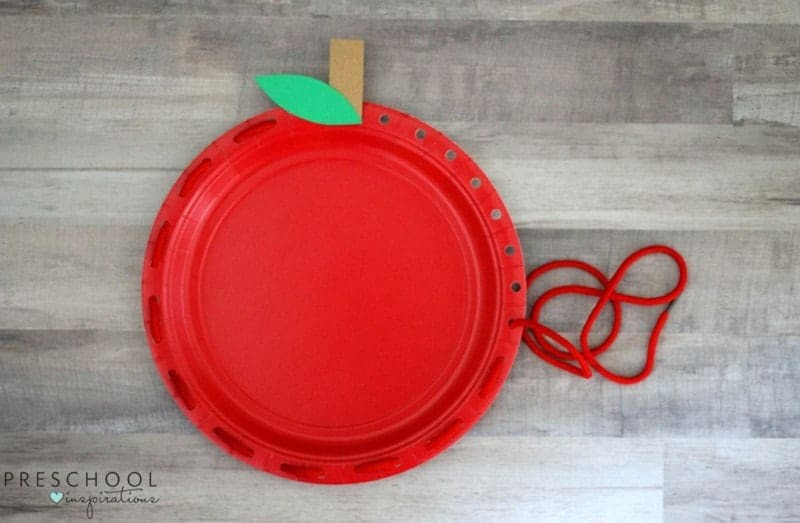 You could have apples for a snack and make this craft for a delightfully easy and yummy afternoon which would then be followed by peace for you as your little one spent their time playing with it after. Win, win, win. I’ll be honest. I can’t stand the taste of candy corn. Like, at all. But the colors are so perfectly autumn that I love decor that features it. We’ll be stringing this in our kitchen. It would look great draped from a fireplace mantle, too. Again, you just need paper plates, some paint, and a good smock to protect your clothes. I mean, your kids’ clothes. Because this is all about the kids. Who am I kidding? You saw the title. This is stuff to do together with them. 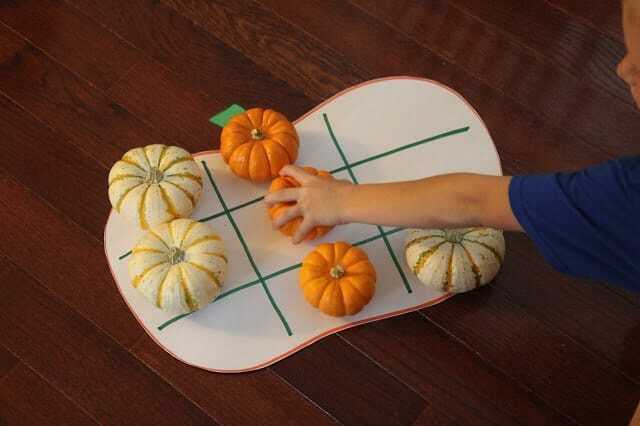 Fall crafts you can do with your kids. Because time together matters, and having fun with the little things make the big things easier to share. Who wouldn’t want one of these beauties hanging in the window over the kitchen sink? Or over their bed to catch their dreams? 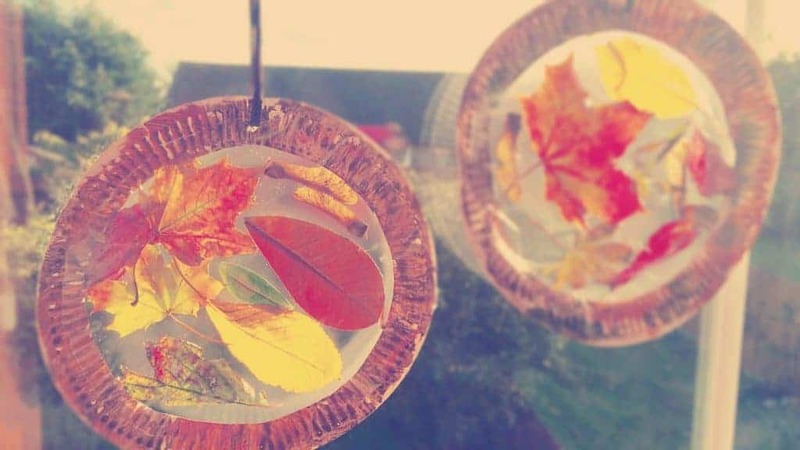 These suncatchers are brilliant. I bet those little tots of Clare’s had a blast making them, and your kids will, too, when you do this craft together. Think of the adventure you’ll have finding all different leaves outside and then coming indoors to make them. You know hot cocoa would be the perfect finale, right? And you can whip up a Spiced Caramel Cappuccino for yourself, if you want something amazingly decadent, super simple, and low carb to boot! This is a really fun twist on a classic game. And it’ll look cute on the mantle in between uses. You can get mini pumpkins in two colors, use pumpkins for one and gourds for another, or even do this with pinecones and pumpkins if you wanted. 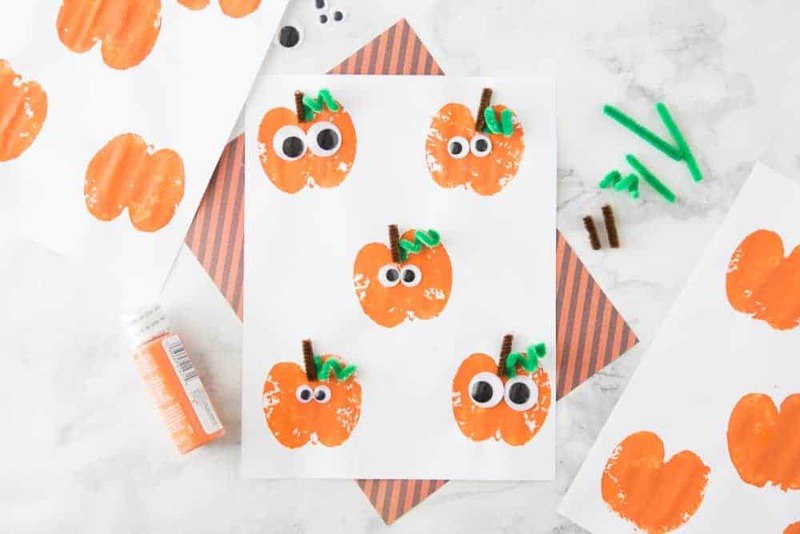 Toddler Approved shares the deets, but once again it’s super simple and is another fall craft you can do with your kids today. And then you guys can have a tic-tac-toe tournament! In our family, we keep tallies of our tournaments in The Game Ledger. We’ve got everything from Candyland to Chess victories tracked in there. It’s a fantastic memento of family time! This right here? It’s downright whimsical. Not only is it a science lesson rolled up into a craft, it’s adorable. I mean, who wouldn’t want these around? It’s a guaranteed smile every time you walk by. These sweet spuds could be the very first vegetables my kids have ever fallen in love with. These fall crafts you can do with your kids will have one extra perk, in addition to being fun cute when displayed, and frugal: they’ll help you fall in love with one another again. Every momma needs sweet moments with her little ones to help get her through the tantrums, the potty training, and the sleepless nights. In my experience, there’s no substitution for just spending time together. Put the phone down, shut the laptop off, and just focus on being together. 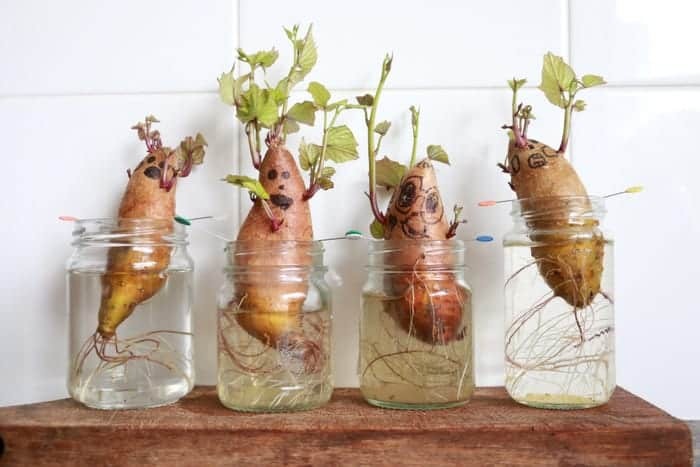 Whether you’re painting with apples, running laces through holes, or propagating your next side dish, these crafts you can do with your kids will help you reach their hearts because you’re doing them together.